NEILSON, JOHN, publisher, printer, bookseller, politician, farmer, and militia officer; b. 17 July 1776 at Dornald, in the parish of Balmaghie, Scotland, son of William Neilson and Isabel Brown; d. 1 Feb. 1848 in Cap-Rouge, Lower Canada. In 1791 John Neilson joined his elder brother Samuel* at Quebec to help him run the publishing firm of Brown and Gilmore, a legacy of their uncle William Brown*, who had died in 1789. By 1792 Samuel was already expressing his pleasure at the “essential service” John was rendering him. As a result of Samuel’s untimely death on 12 Jan. 1793, John inherited the business but was a ward of the Reverend Alexander Spark* until he attained his majority in 1796. His younger brother William came from Scotland to join him in September 1795 but went back home in 1797 or 1798. In 1794, suddenly and without explanation, John had run off to New York, to the annoyance of Mr Spark, who reproved him. “I have been guilty of a piece of folly,” said Neilson contritely. “You must make allowance for youth.” And he had speedily returned. 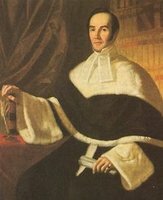 On 6 Jan. 1797 at Trois-Rivières, in the presence of Anglican minister David-François de Montmollin* and in all likelihood of a Catholic priest as well, Neilson married Marie-Ursule Hubert, a niece of Jean-François Hubert*, the Catholic bishop of Quebec. They signed a marriage contract that day before Trois-Rivières notary Antoine-Isidore Badeaux. In it they agreed to have community of property, administered according to the Coutume de Paris. 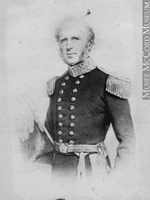 When Neilson announced this decision to his mother in August, he explained that he appreciated his wife’s great merits, but, further, he had wished to symbolize his permanent establishment in Canada and to help lessen the baneful prejudices with which Canadians and British immigrants regarded each other. 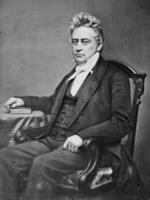 For her part, his mother regularly advised him to persevere himself and raise his children in the religion of his ancestors, Presbyterianism. At least 10 children were born – Isabel, Samuel, Mary, Elizabeth, William, Margaret, Janet, Agnes Janet, Francis, and John – some of whom died in infancy. The boys were brought up in the Presbyterian faith, the girls in the Catholic. Neilson remained deeply attached to his church, which he served in various capacities at Quebec, and he would be commemorated by a plaque in St Andrew’s Church; but he had a pew in the Catholic parish of Quebec which he paid for on a regular basis. From his earliest days in business, young John showed sure judgement, tact, and ability. He would use just enough threats or flattery to obtain payment of the numerous debts owed his firm or to gain customers. He had to be unusually zealous in his work: the printing-shop, newspaper, and bookshop were highly profitable, provided he kept a meticulous record of all the little accounts that accumulated and collected them systematically, even if doing so meant regular recourse to the law courts, despite his distaste for this process. His account-books were detailed to an extent seldom seen. He even kept a note of time lost, in hours and minutes. 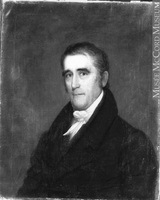 Neilson was primarily a printer, publisher, and bookseller, “the largest consumer of paper in this country,” according to his rival James Brown of Montreal. In 1800 he secretly purchased a controlling interest in the business of his main Quebec competitor, Pierre-Édouard Desbarats*. The establishment of this near-monopoly was accompanied by efforts to expand his productive capacity. In 1795 he had purchased type in England for printing hymn-books. He took steps to procure a new press in the United States in 1801 and to bring in apprentices from Scotland or the United States – young Canadians apparently would not do. The income of Neilson’s printing-shop came mainly from government contracts for proclamations, statutes, the assembly journals, and so on, from private contracts for countless forms, posters, business cards, and similar items, and from the publication of the largest weekly newspaper in the two Canadas, the Quebec Gazette/La Gazette de Québec, which had been in existence since 1764. Aside from single copies sold, from the 1790s and until about 1806 there were some 500 subscribers a year. Around 1809–10 there were nearly 900 and in the period 1810–20, more than 1,000; half were French-speaking. From 1800 to 1820 the paper devoted about 54 per cent of its space to advertising, 21 to international news and travel accounts, 8 to military questions affecting the colony, 5 to social problems, 7 to politics, 3 to economic matters, 1 to cultural affairs, and less than 1 to religious concerns. Neilson did publish newspapers of a more literary and entertaining nature, such as Le Magasin de Québec (1792–94), the British American Register (1803), and the Canadian Visitor (1815), but they were unsuccessful. The population proved too small and too ill informed to support publications of this kind. As well, Neilson exchanged newspapers with numerous English, American, and French publishers and acted as their subscription agent. Besides the printing-shop and the newspaper, Neilson owned the principal bookshop in the Canadas until the 1820s. There, of course, he sold all kinds of office supplies, paper, and notebooks; on occasion he also bound books for his customers. He supplied other printers and booksellers in both Lower and Upper Canada with stock-in-trade that he imported or went in person to get from specialized firms in the United States or Great Britain. He acquired foreign books in the same way and even tried to get works from France, although he at times took advantage of auctions of private libraries. He supplied the major public libraries in the colony, including that of the House of Assembly. Having a large printing-shop, he was able to turn out a good number of volumes himself – basically religious works and textbooks that were not available otherwise in wartime, political pamphlets, and technical books for the local market. At regular intervals he published catalogues of books for sale and he advertised his list in the Quebec Gazette. 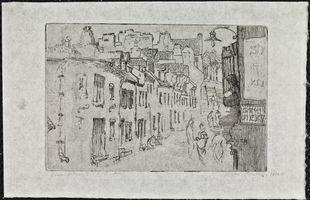 His shops dominated publishing in Quebec and printed 50 to 60 per cent of the approximately 800 works produced in Lower Canada between 1800 and 1820. As a printer and publisher specializing in religious works and school texts, Neilson sold catechisms, song-books, alphabet primers, and devotional volumes. Of some 42,120 books in French purchased at his bookshop between 1792 and 1812, 70 per cent dealt with religion, 21 per cent with school subjects. As for books in English, which Neilson could import and consequently did not have to publish, 38 per cent were school texts, 20 per cent religious works. If religious and school books are deducted, the volume of annual sales drops by about 3,000 to 185 titles in English and 205 in French on average. These included writings of the Enlightenment and the thinkers who marked Western society at the time: Montesquieu, Diderot, Voltaire, Condorcet, Pufendorf, Helvétius, Rousseau, Bernardin de Saint-Pierre, Linnaeus, Condillac, Adam Smith, Malthus, Ricardo, Blackstone, Burke, Bentham, Dodsley, among others, not to mention the classical authors such as those of the 17th century. There were also volumes dealing with the practice of law, medicine, surveying, and the notarial profession. Neilson sold more French titles, but carried a broader range of English ones. However, in 1815, after the wars ended, the variety of works in French increased notably. The French-speaking customers, who formed half or a little more than half of his clientele, came from the ranks of the clergy, liberal professions, small businessmen, and seigneurs; the English-speaking purchasers were garrison officers, senior office holders, merchants, members of the liberal professions, and craftsmen. An educated man whose intellectual horizons were never narrow, Neilson was perfectly at ease in English and French, travelled extensively, and broadened his culture. He maintained a voluminous correspondence with numerous literary and political figures in the colony, among them Joseph Quesnel*, Ross Cuthbert*, Pierre-Stanislas Bédard*, Louis-Joseph Papineau*, and Justin McCarthy. Another correspondent, Abbé Jean-Baptiste Boucher, pardoned Neilson’s printing errors in return for being given bound copies of his own Recueil de cantiques à l’usage des missions, des retraites et des catéchismes (1795). 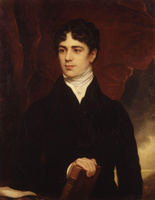 Having entered the assembly in 1818, Neilson decided on 29 April 1822 to hand his firm over to his eldest son, Samuel, who received a two-thirds interest, and a partner, William Cowan, who received one-third; under the government of Dalhousie [Ramsay] political tensions were increasing, and John did not want to find himself in any conflict of interest or to harm a business he had so firmly established. Nevertheless Dalhousie withdrew the post of king’s printer from Samuel and gave it to John Charlton Fisher in October 1823. John continued to take an interest in the firm, but from a distance. In May 1836 Samuel, who was gravely ill, made the business over to his brother William and in July he gave his father power of attorney to settle his affairs. These seem to have been profitable despite the political difficulties. As late as 1848, when an attempt was made to appraise Samuel’s estate, the stocks in the printing-shop and the bookstore alone were valued at £2,717 7s. 7d. On occasion Neilson wrote poems, sometimes in French, one of them about death. In 1795 he bought the shares of the Théâtre Canadien. 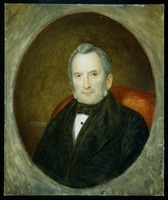 He belonged to the Quebec Library from 1799 to 1824 and the Quebec Exchange and Reading Room in 1822 and 1827, being its president in 1831. 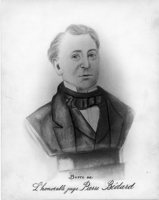 In 1842 he was named an associate member of the Literary and Historical Society of Quebec. He was keenly interested in educational matters. For example, he gave books and money to schoolmasters such as Louis Labadie* at Berthier-en-Haut (Berthierville), Louis Vincent and his Huron school at Jeune-Lorette (Wendake), and Antoine Côté in the parish of Saint-Thomas (at Montmagny). 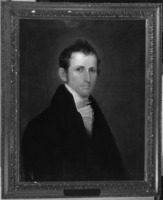 In 1816 he was president of the subscribers to the Quebec Free School [see Thaddeus Osgood*]. When he was in London the following year, he complained to the Foreign School Society of the difficulties that the House of Assembly was encountering in its efforts to develop a school system under the control of churchwardens or ministers and priests of the various churches. In 1821 he was a member of the committee to encourage and promote education in rural parishes. He also took an interest in education for the working classes, particularly with regard to agriculture. 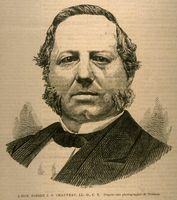 Nor was it by chance that he was constantly re-elected president of the Mechanics’ Institute of Quebec, serving for the years 1834–43 and possibly even earlier. 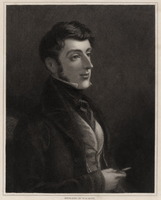 In addition he was visitor (inspector) of the colony’s schools in 1831 and trustee of the Royal Institution for the Advancement of Learning [see Joseph Langley Mills*] in 1838 and 1839 at least. 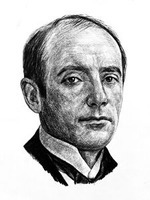 Over and above his chief business and his commitment to cultural concerns, Neilson was active in a variety of fields, some remunerative, others humanitarian in nature. For example, from 1816 he settled immigrants at Valcartier. By 1828 he reputedly had attracted 500 people there and a similar number to the adjoining regions, in all some 1,000 Scots and Irish, as well as a number of English and Americans. It is not surprising, then, that he had become a member of the Quebec Emigrants’ Society by 1819. He established immigrants on adjacent properties that he obtained mainly from the Jesuit estates, to the great displeasure of Herman Witsius Ryland, who served on the commission that managed the estates for the crown and who detested his political orientation. In 1816 and 1818 for example, Neilson and Andrew Stuart acquired 54 grants, each 3 arpents by 30. As early as 1802 he had bought land at Cap-Rouge, and he added another property in 1815 consisting of four irregularly shaped lots, purchased for £55, on which he took up permanent residence. Neilson also had a farm there and a sugar bush at Sainte-Anne-de-la-Pérade (La Pérade), which were worked by tenants. In the course of business he bought and sold a large number of holdings, which were mainly located in the Quebec region. In 1832 he owned 39 properties (some rented out) at Valcartier, Cap-Rouge, Cap-Saint-Ignace, and Sainte-Anne-de-la-Pérade, as well as 5 houses, 6 pieces of land in Stanbridge, 1,200 acres in Aston, 1,200 in Barford, and lands worth £700 in Upper Canada. He had also invested capital in a mill at Valcartier. In 1830 he was endeavouring to sell some holdings in Tingwick. This interest in agriculture and settlement was also attested by his participation in the Agriculture Society in the district of Quebec, of which he was vice-president beginning in 1819, if not sooner, and president from 1826 till at least 1832. He appeared before the assembly committee examining the state of agriculture in the province during the 1823 session and spoke about what he had observed, particularly during his rounds in a great many parishes in the summers of 1819 and 1820. He himself experimented with new farming techniques. In 1818 he received several prizes for inventing a seeder, for ploughing the straightest furrow in a competition, and for having introduced a new plough. 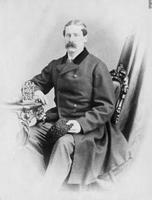 Neilson was a shareholder and client of the Bank of Quebec and a shareholder in the Quebec Baking Society. He also lent money at interest, to consolidate debts or supply cash to various people in need of it. He extended easy credit to his customers and buyers, while, however, setting fixed, regular payment dates. The inventory of the Neilsons’ community of property, made almost 20 years after John’s death, still listed £30,143 6s. 8d. in debts owing to it and £692 in personal estate, against only £25 in liabilities. Credit, along with land holdings, constituted the basis of Neilson’s fortune after he retired from business. There was still considerable landed property in the estate even in 1867: the Hubert fief (2 leagues by 2 leagues), a house, 34 lots, 8 farms in the seigneurial area and 9 in Stoneham, Barford, and Simpson townships. 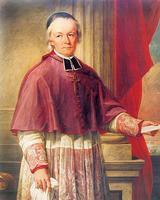 Gradually Neilson moved into politics, and his first steps in this direction were orthodox. During the troubles in 1794 he signed a declaration of loyalty to the crown, and in 1799 he signed the address of good wishes to Governor Robert Prescott* on his departure. His newspaper rarely published anything audacious. In 1810, when people were being imprisoned under the régime of Governor Sir James Henry Craig*, the Quebec Gazette urged respect for the constitution and loyalty. 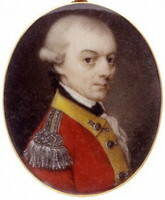 Even under Dalhousie, Neilson became a lieutenant in the Quebec militia in 1824. Neilson has been called a moderate liberal or a moderate reformer. 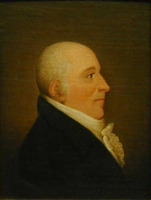 His even, patient temperament, untroubled by quick anger, his admiration for British institutions, which was accompanied by a certain attraction to American municipal institutions, his pursuit of a balance of powers: all these naturally drew him towards men such as Pierre-Stanislas Bédard, the leader of the Canadian party until 1811. Neilson was convinced of the need to do away with the abuses that had crept into the application of the 1791 constitution. 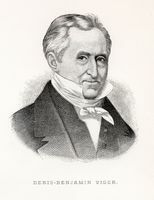 Sympathetic to French Canadians and their institutions, in particular the seigneurial régime, and critical of the financial irresponsibility displayed by a clique of uncontrolled officials holding too many posts, he was drawn to Louis-Joseph Papineau, who gained ascendancy over the Canadian party in the period 1818–22. The fact was that Papineau himself proclaimed the benefits of monarchy and fought against the abuses of executive authority in the colony. 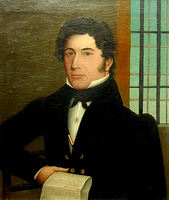 Neilson was elected for Quebec in 1818 under the banner of the Canadian party. In a way he constituted a moral security essential to this party, which was too closely identified with the French Canadians. He complemented Papineau by exhorting him frequently to have patience and perseverance – qualities Papineau admitted he did not possess. It is not surprising, therefore, that the two were sent as delegates to London early in 1823 with the petitions from Lower Canada against the union bill that had been laid before the House of Commons in 1822. They met the under-secretary of state for the colonies, Robert John Wilmot-Horton, Sir James McIntosh, Lord Bathurst, and others. In his personal notes, which are not dated, Neilson argued that it would not be useful to increase the property qualification for voting and stressed that a change in land tenure, made possible under a statute passed in London in 1822, could not come about unless the consent of the censitaires was secured and their right to take up land at no expense to themselves was assured. 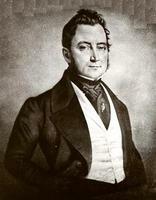 In the House of Assembly at the time of the 1823 hearings on the state of agriculture, he spoke in favour of the seigneurial régime and the right of censitaires to obtain land without payment. 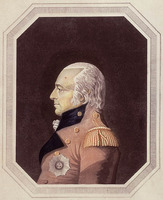 And around 1825–26 he advised the governor that application of the legislation permitting commutation of seigneurial tenure into freehold, which had been passed by the British parliament in 1822 and 1825, should be accompanied by crown intervention to ensure that the right of the censitaires to land at no cost was upheld. In the assembly Neilson became involved in everything related to education, agriculture, and township development. 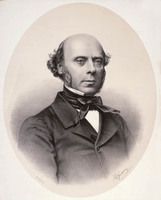 Although he at times dissociated himself from Papineau’s position, on the whole he supported the Canadian party, especially on the question of control of supply. In January 1828 he again went to London, with Denis-Benjamin Viger* and Austin Cuvillier, to present the assembly’s complaints against Dalhousie’s administration to the British parliamentarians. Neilson appeared before a House of Commons committee early in June and laid out the matters on which he had strong views. He urged the necessity of handing over to the assembly control of all revenue collected by the province – a recommendation which the committee adopted in part, although it advised permanent appropriation of salaries for the governor, legislative councillors, and judges. As well, Neilson called for an annual vote of supply, item by item, and he denounced the making of expenditures not authorized by the assembly. He condemned the excessively close ties between the Legislative and Executive councils and the governor, which had resulted in the paralysis of the legislature. The behaviour of the Dalhousie administration he characterized as abusive and highhanded. In his view a reasonable agreement between the assembly and London on the question of supply could be reached if the rights of the house were recognized. 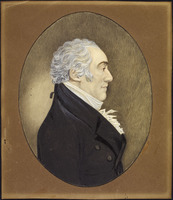 With regard to land matters, he criticized the imperial parliament’s interference in Lower Canada’s internal affairs – the legislation of 1822 and 1825 permitting the commutation of seigneurial tenure – and he warned there would be a risk of fraud if registry offices were set up since the Canadians were unfamiliar with such institutions. He pointed out the pernicious consequences of having too many absentee landowners in the townships, and he noted the Canadians’ preference for Canadian laws and seigneurial tenure providing easy access to free land, unless the assembly’s measures to correct abuses in the system were blocked by the Legislative Council. Reform of that council was required, he stated, and might best be achieved if the crown appointed persons of means who were independent of the executive. He also defended the Catholic Church. On 29 March 1830 Papineau thanked Neilson publicly for his services – the report of the commons committee had recognized in part the legitimacy of the complaints of the Patriote party (as the Canadian party had been called since 1826). Neilson drew up a series of proposals conceived in a spirit of conciliation. But times had changed. Already a deep split was developing between him and Papineau, who would soon move from the cordial correspondence of the 1820s to public insults. In a letter to Neilson in August 1832, Papineau let slip the phrase “our detestable constitution.” Neilson, however, set great store by the constitution, by the links with Great Britain and the benefits that the colony derived from them – indeed by a whole series of institutions that could not be accommodated within the increasingly republican line being taken by the party’s radical wing. Neilson, having always preached the righting of abuses, the preservation of institutions, harmony, tolerance, and respect for the colony’s various ethnic backgrounds and religions, was disturbed by an emerging anticlericalism and nationalism in the party which he thought went too far. He railed against the assembly’s failure to take any real advantage of the compromises suggested by London, and he feared the economic consequences that might ensue from the radicalizing of a large group within the Patriote party. He also rejected the idea of an elected legislative council, which was incompatible with the British constitution. 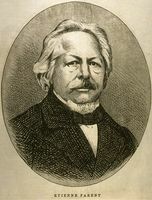 The break, already evident in 1831–32, was consummated in 1834 with the assembly’s adoption of the 92 Resolutions [see Elzéar Bédard], whose violent tone and extreme nature were repugnant to a levelheaded man such as Neilson. Watching helplessly the radicalization that followed the bloody by-election in Montreal in 1832 [see Daniel Tracey*], he asked how a responsible government, as Papineau conceived it, could be demanded when Papineau could not govern himself. In his view the Patriote party stance threatened mercantile and industrial interests, which in turn ensured the prosperity of farmers. Until 1831, he thought, the assembly had been on the defensive. But since the concessions made by the British government it had become “the assailant” and intended to wring from the crown rights that were incompatible with the constitution and monarchical institutions. Blinded by the ambition of a few individuals thirsting for power, who exploited national differences and jealousies, it had blocked supply, threatened rebellion, and neglected the wishes of the people. In March 1833 he stated in the Quebec Gazette that the constitution had first been betrayed by the governor and Legislative Council, and was now being betrayed by the assembly. 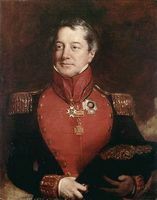 Some historians are of the opinion that Neilson lacked flexibility and consequently was unable to gather allies and act as a counterbalance to Papineau. Be that as it may, the radical group called him a traitor, and in the 1834 elections he was defeated in the constituency he had represented for more than 15 years. He then helped found constitutional associations in the colony. 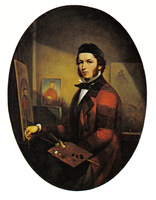 In 1835 he was commissioned to go to London, accompanied by William Walker, and express the viewpoint of the moderate English-speaking merchants. What he was again seeking was the righting of abuses, but without sedition or revolt. He vainly tried to avert the rebellions. Neilson became a member of the Special Council on 2 April 1838 and served on it till 1840, except for the brief period under the administration of Lord Durham [Lambton] when it was reconstituted. Faithful to his convictions, he fought against union of the two Canadas, a stand that earned him popular support and election to the assembly of the united Canadas in 1841. 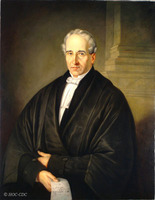 In 1844 the assembly named him speaker, but on 25 November of that year he was given a seat on the Legislative Council, which he retained for the rest of his life. At his death on 1 Feb. 1848 Neilson left a sizeable fortune (20 years later it exceeded £30,000, real estate not included), and a reputation for integrity and good judgement. He had brought his children up with affection but also with discipline – their numerous letters vainly requesting money are proof of that; he did, however, make sure they were established. The arrangements made in his will and that of his wife are indicative of the man. The usufruct of everything in the community of property was left to the survivor and the heirs were forbidden to contest legally the division made, on pain of being disinherited ipso facto. Shortly after his death, his son William paid £145 for a monument to be erected in the cemetery of the Presbyterian church in Valcartier, at the head of the grave. Intelligence, culture, hard work, perseverance, moderation, firmness, and patience, these were some of the qualities that enabled John Neilson to pursue an uncommon career. Much has been made of his sense of thrift; his generosity, though not always disinterested, has perhaps been forgotten. For example, in 1804 he contributed to a subscription for victims of the Quebec fire and again in 1818 to one for the poor in the district of Quebec. In business or family matters he had extensive dealings with notaries, avoided lawyers and judges if possible, and preferred arbitration, settlement out of court, or a warning. With too many preoccupations, he at times neglected his own civic duties, among them keeping up the roads. In essence, Neilson seems to have been one of the earliest exemplars of the “Canadian” in the modern sense: bilingual, connected with people of various origins, optimistic about the country’s future. His relative failure and his inability to create solid and lasting links for himself in the French Canadian milieu, whether business or political, are proof that the undertaking is difficult in any period. John Neilson’s papers are located at the ANQ-M in P-1000-3-360; at the ANQ-Q in its collections of the Neilson family (P-193) and of the Neilson printing firm (P-192); and at the PAC in MG 24, B1, which covers the period 1764–1850. There are also items in other collections at the ANQ-Q, including those of Ludger Duvernay* (P-68), the Papineau family (P-417), and the Napoléon Bourassa family (P-418). ANQ-MBF, CN1-4, 6 janv. 1797. ANQ-Q, CN1-16, 24 déc. 1806; 9 sept., 23 déc. 1809; 11, 17 sept., 13, 18, 21, 26 oct., 2 nov., 14–15 déc. 1813; 8, 14–15, 18, 21–22 janv., 15–16 juill., 27 oct. 1814; 31 oct., 26 nov. 1815; 26 janv., 19 févr., 12 juin, 25 juill. 1816; 26 nov., 24, 27 déc. 1817; 5 mai, 27 juill. 1818; 28 mars, 15 avril 1820; 4 mars 1822; 18 juill. 1823; 11 avril, 20 mai 1826; CN1-26, 30 juill. 1800; 16 mai 1815; 24 mai 1816; 27 août, 8 sept. 1818; ler oct. 1823; CN1-33, 23 oct. 1866–20 mars 1867; CN1-49, 15 janv. 1833; CN1-66, 19 oct. 1860, 30 déc. 1865; CN1-116, 11 août 1819; 6 févr. 1821; 14 avril 1828; 27 mai, 5 juin, 19 juill., 18 oct. 1830; 26 janv. 1831; 13 août, 7 nov. 1832; 9 avril 1833; 2 mars, ler avril, 17 oct. 1835; 22 avril, 7, 31 mai, 11 juill. 1836; 4, 26 avril, 20, 22 juill., 19 oct. 1837; 21 mars, 14 avril, 11, 21–22 sept., 12 oct. 1838; 30 avril, 22, 27 mai, 22 août 1839; 25 mai 1841; 9 juin, ler août, 31 déc. 1843; 19 janv., 12 avril, 3, 23 mai 1844; 14 févr., 2 avril, 5, 28 sept. 1846; 23 avril 1847; 5 janv. 1848; CN1-208, 14 oct. 1824; 7 juin 1825; 10 juin 1826; 28 avril, 2 mai 1827; 4 oct. 1828; 17 déc. 1829; 27 oct. 1830; 18 oct. 1832; 19 juin, 20 oct. 1833; 17–18 nov. 1845; CN1-213, 28 juill., 21 déc. 1846; 19, 27 oct., 24 déc. 1847; 18, 25 févr., 23 mars, 8, 15 avril, 8–31 mai, 14, 24 juill., 11, 22–23 sept. 1848; 23 avril, 19 mai 1849; CN1-228, 11 avril 1826, 2 févr. 1828, 15 nov. 1831, 18 sept. 1833; CN1-230, ler juin 1802; 22 mars, 24 oct. 1803; 13, 29 mars, 13 nov. 1804; 23 mai 1806; 28 juin 1813; 28 mai 1814; 27 mai, 14 sept. 1815; 29 juill. 1816; 31 juill., 29 août, 23 sept., 3 déc. 1817; 21 mars 1818; 6 oct. 1821; 30 oct. 1822; 13 janv., 13 sept. 1823; 9 mars, 10 juin, 2 nov. 1824; 6 juill. 1825; CN1-261, 13 oct. 1828; CN1-262, 23 mai 1800, 3 nov. 1809, 21 oct. 1811, 21 janv. 1812; CN1-267, 28 avril 1819; 23, 27 sept., 16 oct. 1823; 3 févr. 1824; 10 janv. 1825; 27 févr. 1826; 17 sept. 1829; 14, 16 avril 1832; 21 nov., 24 déc. 1833; 5 mars 1836; T–11/1, no.5118 (1799); no.5330 (1801); no.5440 (1802); no.6113 (1807); no.526 (1817); no.1191 (1824–25); no.11 (1827); no.756 (1829); no.744 (1830); no.763 (1830–32); no.598 (1837); no.1861 (1847); no.1868 (1847). PAC, MG 11, [CO 42] Q, 193–241; MG 55; RG 68, General index, 1651–1841; 1841–67. Univ. de Montréal, Service des bibliothèques, coll. spéciales, coll. Melzack, H. W. Ryland à John Ready, 5 oct. 1819. Univ. of B.C. Library, Special Coll. Division (Vancouver), Ryland papers. L.C., House of Assembly, Journals, 1818–37; 1828–29, app.HH. Alexis de Tocqueville, Tocqueville au Bas-Canada, Jacques Vallée, édit. (Montréal, 1973). Quebec Gazette, 1790–1848. DNB. Hare et Wallot, Les imprimés dans le Bas-Canada. Le Jeune, Dictionnaire, 2: 336. J. [E.] Hare et J-P. Wallot, “Les imprimés au Québec (1760–1820),” L’ imprimé au Québec: aspects historiques (18e–20e siècles),.sous la direction d’Yvan Lamonde (Québec, 1983), 78–125; “Le livre au Québec et la librairie Neilson au tournant du XIXe siècle,” Livre et culture au Québec (1800–1850), sous la direction de Claude Galarneau et Maurice Lemire (Québec, 1988), 93–112. Ouellet, Bas-Canada. 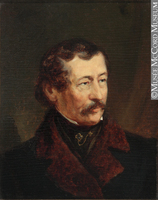 Taft Manning, Revolt of French Canada. Claude Galarneau, “Les métiers du livre à Québec (1764–1859),” Cahiers des Dix, 43 (1983): 143–65. J.-P. Wallot, “Frontière ou fragment du système atlantique: des idées étrangères dans l’identité bas-canadienne au début du XIXe siècle,” CHA Hist. Papers, 1983: 1–29. Sonia Chassé, Rita Girard-Wallot, and Jean-Pierre Wallot, “NEILSON, JOHN,” in Dictionary of Canadian Biography, vol. 7, University of Toronto/Université Laval, 2003–, accessed April 20, 2019, http://www.biographi.ca/en/bio/neilson_john_7E.html.